After the appearance of Yuri Vlasov in sports the individual level of champions became different, because Yuri Vlasov raised morality in the sport to another height, based on the ideal of antique Olympics. Glorified as an athlete among athletes of all history, Vlasov actually was one of the greatest heroes in the history of the planet. He became a role model for the whole generation of people around the globe. 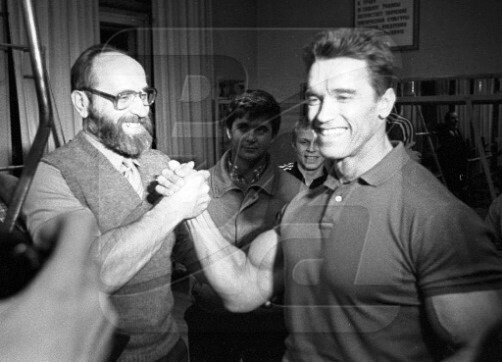 Yuri Vlasov even partly influenced the career of Arnold Schwarzenegger. They met in 1961 in Vienna at the World Weightlifting Championships. 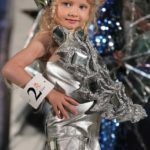 Vlasov’s friend Austrian weightlifter Heltke asked him for a “moral support” of his thirteen-year-old student. 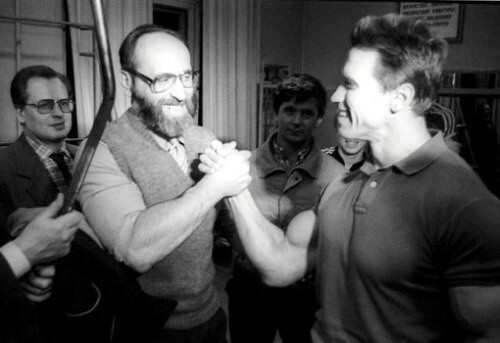 Schwarzenegger remembers a meeting with the prominent Russian athlete for life. 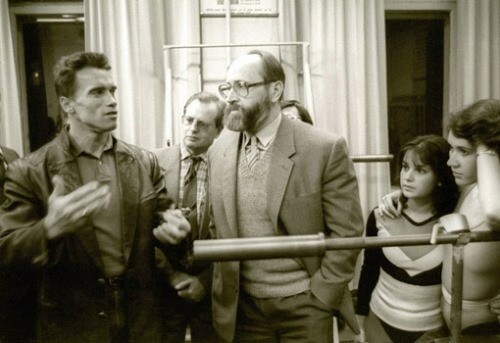 When in 1988 he was in Moscow on the set of the movie “Red Heat”, he gave to Vlasov his autographed picture: “To Yuri Vlasov, my idol, with love and a nod”. Outstanding Russian sportsman Yuri Vlasov was born December 5, 1935. 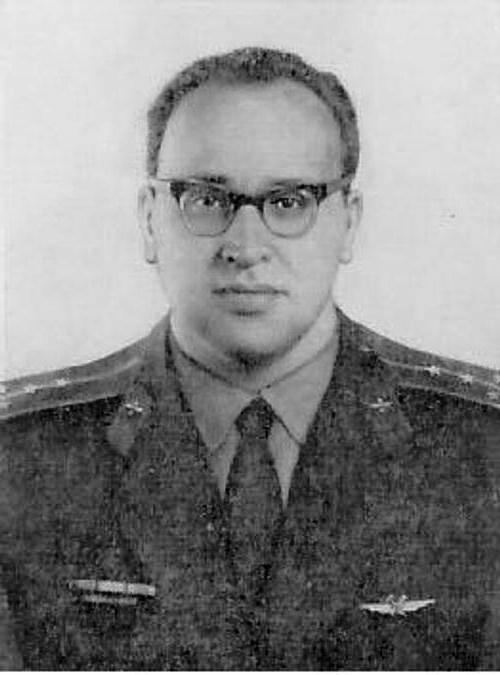 Yury studied at the Saratov Suvorov military school (1946–1953), then at the Zhukovsky Air Force Academy in Moscow, from which he graduated with a Gold Medal in 1959. In Academy he became interested in weightlifting, joined Armed Forces sports society and soon became Master of Sport of the USSR (1957). 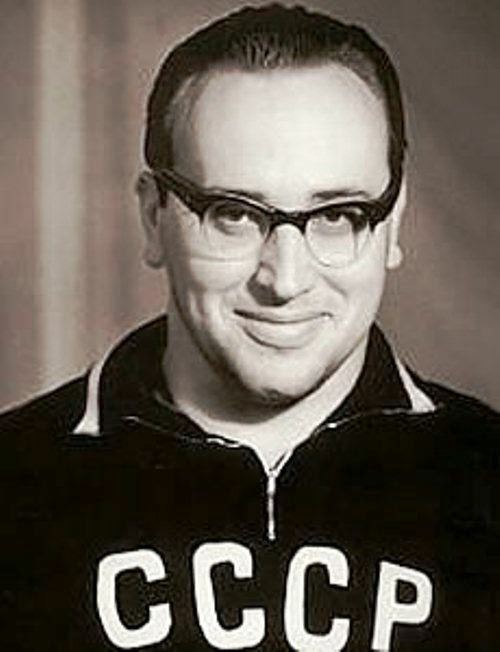 Between 1959 and 1963 he won all the competitions he participated in, with a huge success at the Rome 1960 Summer Olympics where he beat the world records three times, becoming the first man to clean and jerk more than 200 kg (202.5). He was proclaimed the best sportsmen of the 1960 Olympics and the “Strongest Man on the Planet”. 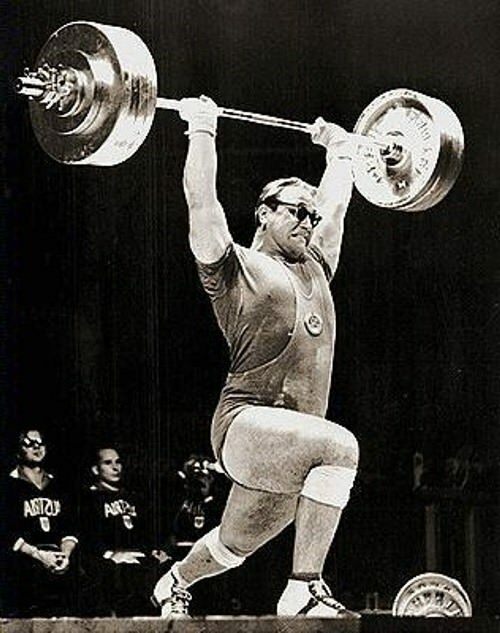 Yuri Vlasov was considered a nerdish intellectual in rim glasses, going against the stereotypes attached to weightlifting. 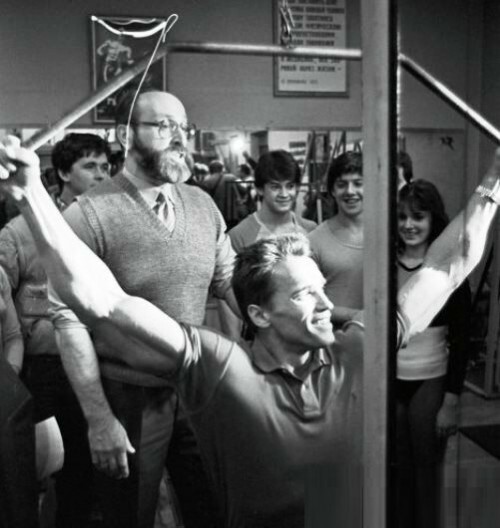 Olympic champion in 1960 in weightlifting in the heavyweight division set a world record in triathlon – 537.5 lbs. 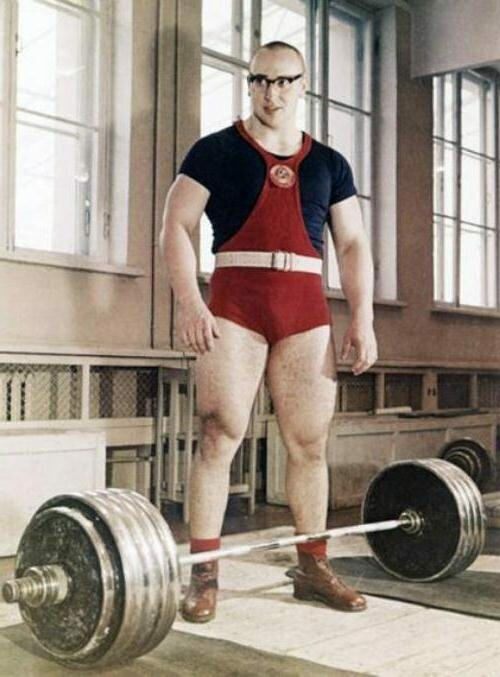 At the Olympic Games in 1964 won the silver medal with a score of 570 kg. Standard-bearer of the USSR team at the opening and closing of the Olympic Games in 1960, the opening game of 1964. World champion in 1959, 1961-1963. European champion 1959-1964. National Champion 1959-1963. World record holder in 1959-1967. 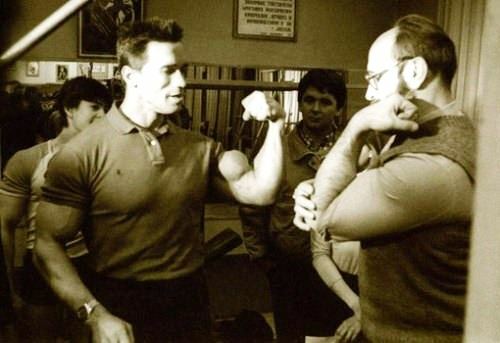 Over the years, was President of the Federation of athleticism and the President of the USSR Weightlifting Federation. A member of the Writers’ Union. Such a rich sporting life, which Yuri Vlasov had all these years, did not prevent him from finding time to literary pursuits. He began to write immediately after graduating from the Academy, and at the same time his essays and short stories appeared in print. The Olympic champion, even during the most intense training before the world championship, every day was sitting at a desk for 5-6 hours. And almost the same many hours spent training. 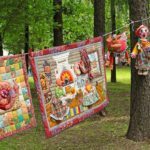 The first book of Vlasov “To overcome himself” was met with enthusiasm. In fact, it was the first athlete confession presented to the readers. And it was written without the help of a literary critic. Since 1968, Vlasov was already professionally engaged in literary activities and to the question about his profession he answered – “writer”. He was the author of many books, and not just about the sport. In 1987-1988, Vlasov was the chairman of the Federation of athletic gymnastics of the Soviet Union and did much for the development of the sport. 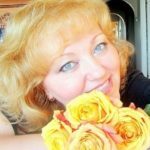 Health of Yuri Petrovich by then worsened, he underwent several operations on the spine. Nevertheless, he found the strength to return to active duty – creative and social. In 1989, Vlasov was elected deputy of the USSR on the fifteenth territorial district of Moscow. In the Supreme Soviet of the USSR entered the Inter-regional Group of Deputies. 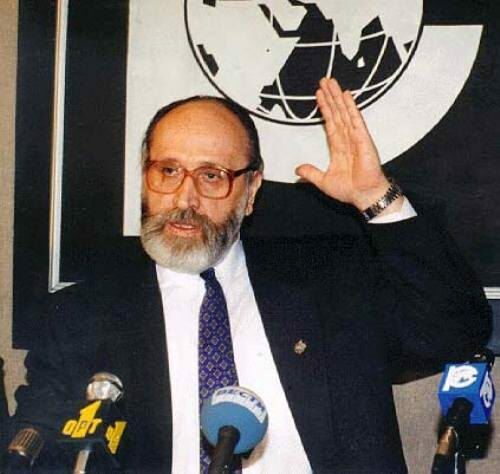 In August 1991 during an attempted coup d’etat Vlasov took part in the protection of the White House. And in March 1992 in the newspaper “Kuranty” opposed president of the Russian Federation Boris Yeltsin. In 1993 he was elected the deputy of the State Duma of the North-West constituency in Moscow. 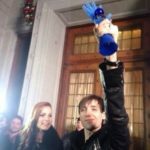 Parliamentary group “Russian way” had nominated Vlasov for the presidency. After becoming known and experienced politician, Vlasov claimed the presidency of Russia. 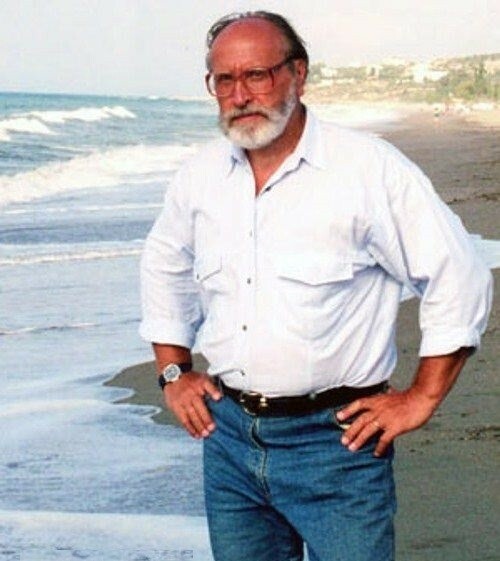 He was a candidate in the 1996 Russian presidential election but only received 0.20% of the vote (the second-to-last result amongst the ten participants). Following this he apparently retired from politics. 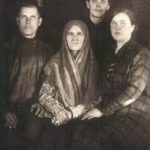 Yuri Petrovich married for the second time, his first wife died . Glorified as an athlete among athletes of all history … Vlasov actually was one of the greatest heroes in the history of the planet.